Our passion, our bread and butter, our raison d’etre… we believe that whatever the time of day, wherever you are and whether you have five or fifty minutes, food and drink should be far more than functional - it should feed your soul. We believe that you get out what you put in, and being fanatical foodies, that’s only the best, freshest ingredients and a lot of love and care. We only serve food that we’d want to eat ourselves; handmade in our kitchens and packed full of flavour. We love food. Full stop. It’s why your favourite breakfast sandwich is cooked to order; why our pastries are freshly-baked (as is our unforgettable chocolate brownie); and why our sandwiches are handmade each morning in our kitchens. Then there are our tasty wraps, unctuous, oozing melts, scrumptious salads, made with real herbs and the freshest ingredients… our huge, oven-baked, jumbo jacket potatoes, like a hug in a spud… We’ve made sure that we have something yummy for every mood and mealtime, for those days when you want something a little lighter, and all out indulgence on those days when you absolutely don’t. Whether you’re a waistline-watcher, a goody-two-shoes luncher, or (like us) simply love cake a lot and know that it’s all about balance, you’ll love our new Spring menu! From the fresh banana milkshake that’s been on our menu since day one, to our freshly made, frozen smoothies and our fruity sparklers, topped with fresh mint and wedges of fresh fruit; our iced drinks are a SOHO institution! We use only organic milks in our frapps (just ask for skimmed if you fancy skinny-frapping!) Our iced coffees are made with SOHO’s signature, Fairtrade Arabica coffee; our Fruity Sparklers are made with Herefordshire sparkling spring water and our Super Smoothies are full of good stuff! Our super smoothies are turbo charged, packed with vitamins and freshly prepared each day with fruit, frozen to seal in all the nutrients; our range of super smoothies will help you take on the world! Try our 'Green Supreme', filled with pear, spinach, lime, ginger and hemp. Or our "Berry Nice" which is an energising blend of pomegranate, acai and blueberries. It’s sure to put a spring in your step. There’s too much to tell you here! So come sip and savour one for yourself. Coffee might be for grown-up palates, but we want to keep the little ones sweet. So while you relax over a cappuccino and a catch up with friends, the kids are catered for too. 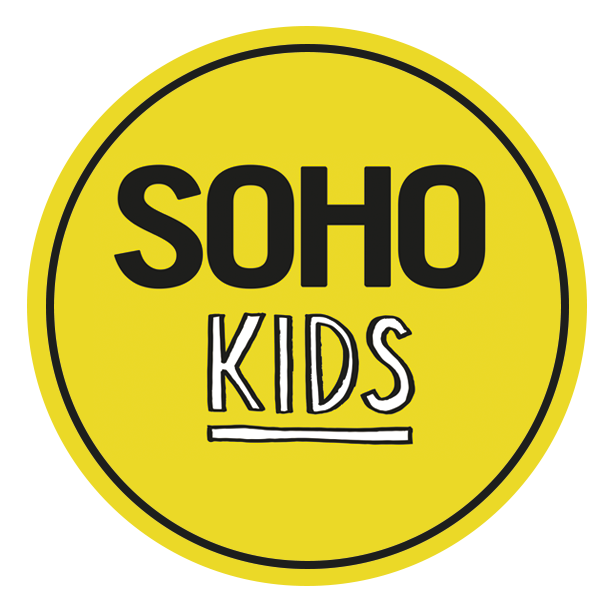 Our perfectly-sized SOHO Kids sandwiches; made with the same great malthouse bread as the grown ups’ range and filled with real cheddar or gammon ham. You’ll find a ‘Jelly Baby Jelly’ or SOHO Joe or Flo gingerbread character makes a great reward for helpful little companions as well! It’s only right that we show our tea as much love as our Fairtrade, organic coffee and hot chocolate. That’s why we only serve Pukka organic teas. Pukka shares our commitment to ethical trading and champions Fairtrade for people and Fairwild for sustainability, and their black, green, fruit and herbal teas are quite simply fabulous! Sometimes you might be more of an Elegant English Breakfast Tea-drinker, then other times more partial to the herbal Turmeric Gold, or maybe you just love the ‘superpowers’ of Supreme Matcha Green. Whatever tickles your fancy, our Pukka menu has every ‘you’ covered. So SOHO... what makes you so super? Our recipes may be a closely guarded secret, but there’s no mystery around why our food and drinks are so good. 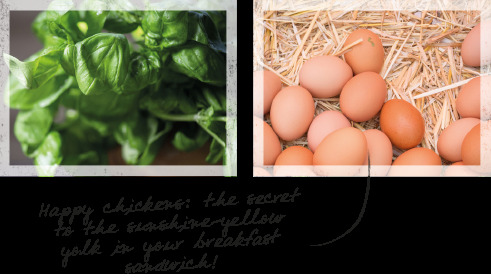 We simply start with the best ingredients: the freshest fruits and vegetables; real, fresh herbs; ‘Happy Eggs’; organic milk and only ever Cotswold Gold rapeseed oil, to name but a few. Then it’s over to our artisan taste makers, baristas and oven lovers, who work their handmaking magic! Our stores come in all shapes and sizes, so our menus do too.